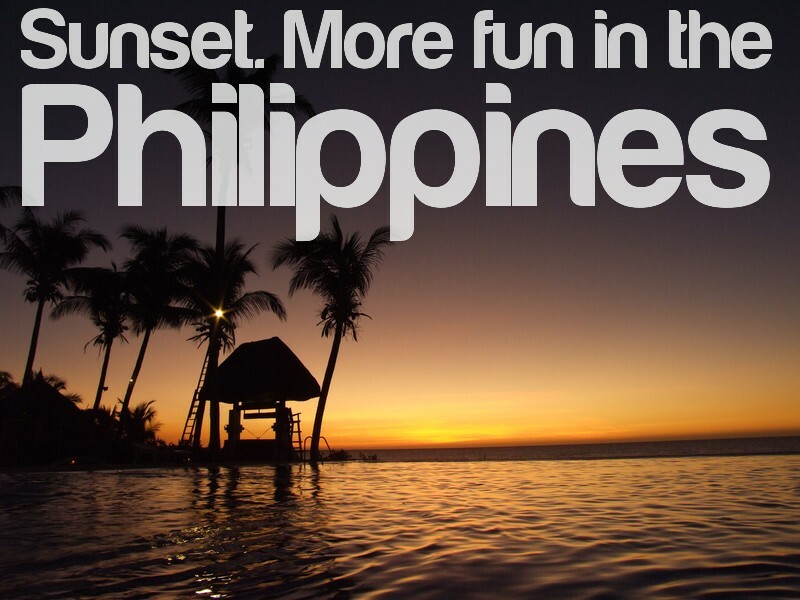 When is the best time to view sunset in the Philippines? I have always been staggered by the sunset here in Asia and particularly in the Philippines.The bright orange ball descends pretty quickly and I always thought you could see in “touch” the sea. I am told by Dr Karl (Australian Scientific Radio and TV star), that you cannot see the touch of the water as the pollution is pretty bad in this area. The beautiful red and orange Sun this is in fact, a sign of serious pollution and as it drops off the horizon we are seeing the contamination in the skies. 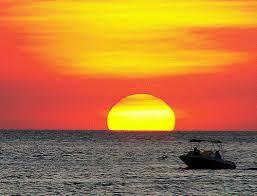 Unlike many places in the world, it is very rare to see the Sun actually touch or appear to touch the water. The pollution is so bad that the very point of supposed impact is not visible and we make up for that gap in our brains. As I say this is according to Dr Karl-who am I to argue? No matter what the real scientific reasons it is still an amazing site to watch. Lately, I have been living in Puerto and watching the Sun say goodbye everyday with a gin and tonic in my hand. Even when it has gone from view it streams light on the beach for another twenty minutes or so. The orange glow of the Sun looks fantastic, and it is comforting to know as it leaves the Philippines field of vision it reappears on the other side of the world. Isn’t nature amazing. Manila Sunrise and Sunset Times. Doesn’t really change much through the year.